A five city tour, featuring some of the best known and most respected figures in rock, blues has been set to celebrate the legacy and music of Jimi Hendrix next month. The tour launches October 16 at Washington's Constitution Hall. Experience Hendrix, LLC, the Hendrix family-owned company charged entrusted with preserving and protecting the legacy of Jimi Hendrix is the presenter of the tour and lends its name to the endeavor which runs through October 20th. Other tour stops include New York; Hampton Beach, NH; Atlantic City and Waterbury, CT. Featuring artists who will be performing music written by and associated with Jimi Hendrix include blues giant Buddy Guy, pedal steel innovator Robert Randolph, and contemporary guitar great Kenny Wayne Shepherd. Special guests include Robby Krieger, guitarist of the Doors, Rolling Stones veteran guitarist Mick Taylor and Hubert Sumlin, the Mississippi-born guitarist who worked with both Howlin' Wolf and Muddy Waters. Most remarkably, Mitch Mitchell (drums) and Billy Cox (bass), the same Jimi Hendrix Experience rhythm section that played behind Hendrix at Woodstock is the will be on hand for the Experience Hendrix tour dates as will Chris Layton and Tommy Shannon, a/k/a Double Trouble, the late Stevie Ray Vaughan's highly regarded rhythm section. Native American band Indigenous, Eric Gales, the Memphis guitarist who is heard on the Power of Soul Jimi Hendrix tribute album and Kenny Olson of Kid Rock's band are also part of the Experience Hendrix Tour. Guitar World's renowned music transcriber and Hendrix guitar instructor Andy Aledort will once again join the tour. Various combinations of these artists in performance are sure to make the concerts very special events for both new and veteran Hendrix fans. 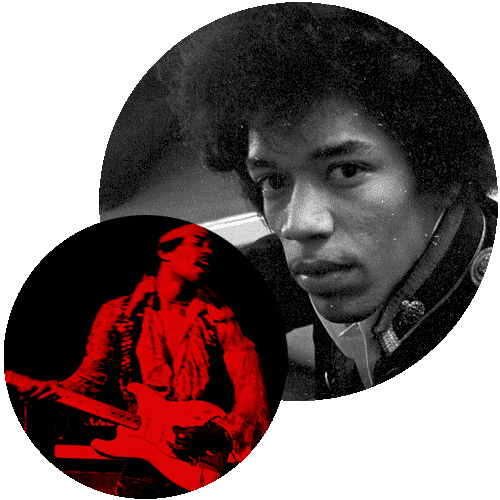 The first Experience Hendrix Tour which also featured Guy, Shepherd, Sumlin, Gales, Double Trouble as well as Mitchell and Cox played sold out concert dates in San Francisco, Portland and Seattle in February of 2004, garnering rave reviews at the time and it is expected that, in the future, Experience Hendrix will make its way to other markets.